If 2014 was the year for real-time mobile targeting and location awareness, as noted in our tech trends index of 2014, then expect 2015 to see retail-tracking technology get a whole lot smarter as Apple advances its iBeacon hardware. A device which uses Bluetooth Low Energy (BLE)-powered 4.0 technology, the iBeacon is a transmitter which enables a smart phone or other device to perform actions when in close proximity, opening up a host of opportunities for retailers and advertisers. For instance, the iBeacon can help generate notifications of nearby items on sale, provide information about a nearby event, or even enable payments at the point of sale (POS) in-store so customers can make a payment entirely over mobile. 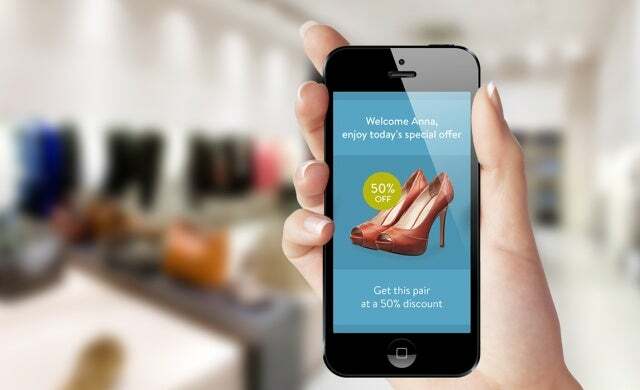 In addition, the device gives retailers access to a wealth of useful data sets such as how long a person stays in a store as well as an idea of the items that they were looking to purchase; with an iOS device the iBeacon is able to identify when a phone has entered or left a store and what department the user may be standing in. The iBeacon’s commercial capabilities also extend to the logistics industry as the device can be used to set a region around a movable object like a food truck or a ship so businesses can track their goods. Apple began to roll out the iBeacon in its stores in the US in late 2013 but over the last year UK firms have also stepped into the market and begun to pilot the devices. Virgin Atlantic is currently conducting a trial of the iBeacon at Heathrow Airport to automatically pull up a user’s mobile boarding pass for inspection when the passenger moves towards the security checkpoint, while the likes of Waitrose and Tesco have been trialling the device in their stores. The iBeacon submits Bluetooth transmitter sensers which are picked up by a compatible app or iPhone (currently only available to iPhone 4’s and above). In turn, these apps listen out for the signal transmitted by the beacon and respond accordingly as soon as the phone comes in range to determine the device’s location, or to trigger an action on that device such as a push notification. As interest in the iBeacon has grown, so too have the number of vendors creating iBeacon hardware with the device now available in a variety of forms such as a coin cell device, a USB stick or a Bluetooth-enabled USB dongle. This increase in demand has also made the technology more affordable – devices can now be purchased for a little as £3.20. “Bluetooth Low Energy (BLE) technology, used in indoor proximity system iBeacon, is a technology that has been increasingly realised by retailers and marketers in the last year and this will continue in 2015. This is because it combines the use of mobile apps and location-based services to reach out to customers in the right place and at the right time with targeted content. “iBeacons can give customers specific information, deals and advice depending on where they are in the store, the time of day, their purchase history or based on other mobile behaviour. This personalisation of a consumer’s retail experience will be used to drive people back to the high street as customers discover how they can engage with retail stores in innovative and personalised ways. Beacons have been around before ibeacon, and ibeacon has been around since 2013. We’ve been hearing that ibeacon will revolutionise the world for the last 2 years, and it still hasn’t happened. I think there is a large misunderstanding as to what beacons do. Beacons do not ‘measure’ statistics, they don’t trigger notificiations, they don’t give you any data sets. All the beacon does is send out an otherwise meaningless data packet, that always relies on you having developed some kind of app that knows to do something when it picks up that data packet. Any usefulness that beacons have come from the software rather than the hardware side. If you’re a merchant (and there’s an unhealthy obsession on the marketing applications of beacons, without looking at they could be useful in the bigger picture), you need to either build your own app, and get people to download it, or use something that’s already out there, that’s somehow been developed to do exactly what it is you want to do with beacons. All we have done up to now is segment the market into tons of otherwise gimmicky apps, that are designed to carry out gimmicky functionality when they pick up the broadcasts of specific beacons (beacons who have no usefulness to anybody who does not have the app installed on their phone). Not to tout my own horn, but I’ve written an article in our blog about how neither ibeacon nor Eddystone solve the puzzle of beacon communications (http://www.peakkin.com/why-neither-ibeacon-not-eddystone-solve-the-beacon-puzzle/ ). In our startup, we think the industry needs a rethink of how beacons can, and must, be integrated into our lives. That’s a very useful insight. IBeacons are definitely the technology of the future and we’re happy to see more companies and vendors are embracing the idea. You’re perfectly right when stating “vendors creating iBeacon hardware with the device now available in a variety of forms such as a coin cell device, a USB stick or a Bluetooth-enabled USB dongle”. We’ve created our BlueBar Beacons with customers needs in mind and came up with these features, along with Battery and power adapter options too (http://bluesensenetworks.com/shop/). Our BlueBar Beacons are available in volume and can be rebranded to match company identity. We’re looking forward to see the the IBeacons mobile payments implemented, that would be a revolutionary move.